Micromax Mobile, an Indian mobiles manufacturer has released a $149 CyanogenMod powered smartphone today in the country. 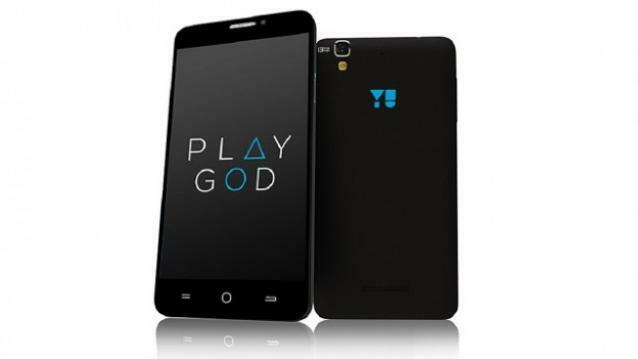 Company is calling the smartphone, YU Yureka. The company hopes to tap the opportunities in the domestic market as the handset is targeted at India’s crowds, which is increasingly becoming tech-savvy. Indigenous smartphone makers are making good progress in the domestic market according to recent market findings. The new Yureka smartphone appears to be a good price bargain considering its specs and what the market currently has to offer. However, it remains to be seen how good it persuades buyers to have it in their pockets. Yureka features 2GB of RAM and also comes with onboard storage of 16GB. Its memory can also be expanded to 32GB. The phone spots 1.5GHz Snapdragon processor. It has front and back cameras that come in 5 MP and 13 MP, respectively. That is not all about Micromax’s Yureka. The phone also features a 5.5-inch display screen that also offers good resolution. Yureka boasts a high-definition resolution of 1280 x 720 pixels. As if that is not enough, the phone is bundled with a 2500mAh battery, which is expected to offer longer power life than what the rivals have to offer. Yureka is powered by CyanogenMod, which features Android tweaks. Left unmentioned until now is that the phone comes with dual SIM. Unlike most other competitively priced smartphones, Yureka does not make any compromises on connectivity. The phone support high-performance LTE connectivity. That comes at a retail price of 8,999 Indian rupees, which is about $142, a price that looks palatable for India’s budding smartphone market. The country is transitioning into the smartphone world from feature phones, and the transition is happening very fast. According to the latest market findings, 32% of the nearly 72.5 million handsets sold in the country in 3Q were smartphones. That was an improvement from 19% of the handset sales in the same period last year. Micromax will start accepting pre-orders for Yureka on December 19, through Amazon India website. According to market watchers, Micromax is among the fastest growing domestic smartphone makers.